Saakashvili was detained at a restaurant in Kiev, Ukraine, his associate Yuri Derevyanko reported. “He has just been kidnapped by unknown people in masks,” a message was posted on his Facebook page. Ukraine’s Ministry of Internal Affairs confirmed Saakashvili's detention. 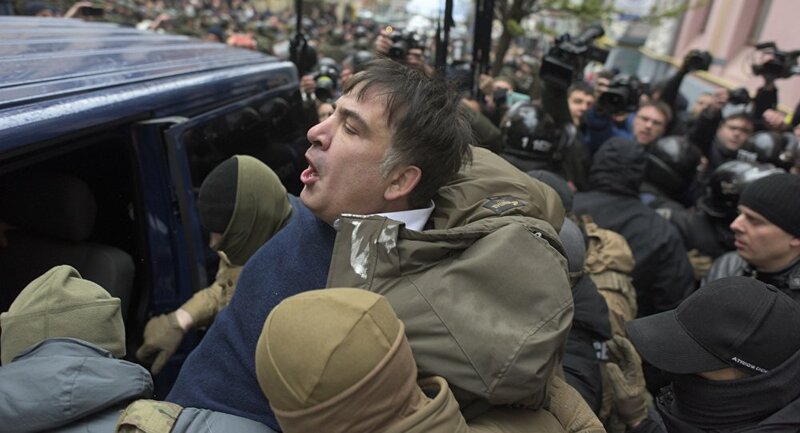 In December 2017, Mikheil Saakashvili appeared on his Kiev rooftop and threatened to jump from the eight-story building, claiming he was being persecuted by Ukrainian President Petro Poroshenko.